DAVID LE/Staff photo. 3/13/15. 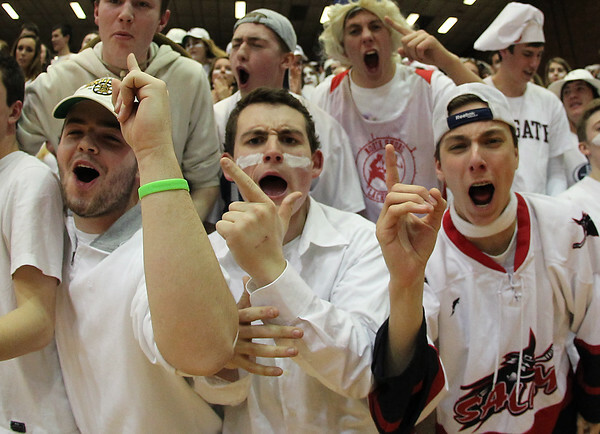 Hamilton-Wenham seniors Ricky Nardella, Chris Davekos, and Jake Guarles cheer on the Generals as they took on Sutton in the D4 State Championship Game at WPI in Worcester on Friday evening.